This image has been around for a while, and I only recently got verification that it is indeed authentic. 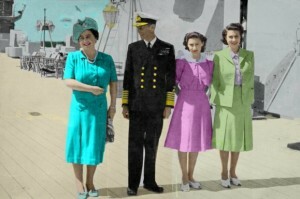 Their Royal Highnesses Princess Margaret Rose and Princess Elizabeth, (now Queen Elizabeth ll), with The Rt. Hon F.C. Sturrock, (South African Minister of Transport), on the footplate of the Royal Train engine at Buffeljagtsrivier, near Swellendam, Cape Province, during the Royal tour of South Africa, Feb-Apr 1947. 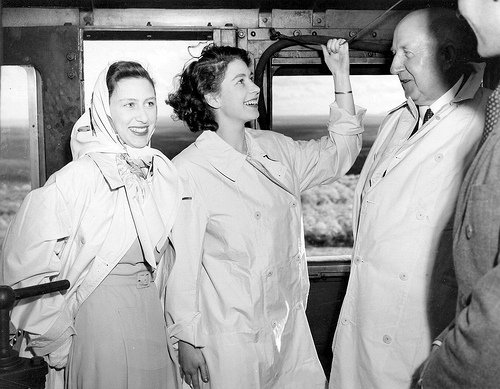 Princess Elizabeth sounds the whistle of the Beyer-Garratt locomotive. 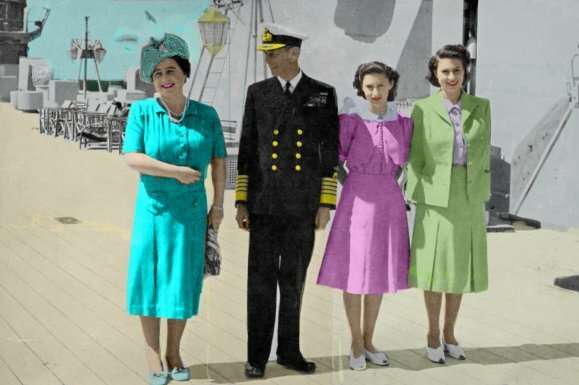 The three month long British Royal Family tour of South Africa in 1947 saw the ordering of eight ivory-painted air-conditioned saloons from Britain, three of which were built to Blue Train sleeping car standards, while the remaining five were special saloons for use by the Royal family and Field Marshal Jan Smuts, the South African Prime Minister. After the tour the Blue Train type saloons were painted in the Blue Train’s livery for service on the Blue Train, while the remaining special saloons became part of the White Train used exclusively by the Governor-General of South Africa and later the President of the Republic of South Africa.